If your essential self was a food, what would it be? Hint: whatever comes up first for you is often a good thing to go with. Your auto-instincts are often from deep in your essential self. This is the good, true stuff. Here’s what came up for me–on the first call of my Martha Beck Life Coach training. Next pondering: Why? Yeah, why? It’s not even healthy, I never eat the stuff, and it has that really not good for you red dye in it. But jello is, actually, to me–delightful! I ate it as a kid. It was wiggly and jiggly and made me happy. It was a treat. It was fun. It was clear and shiny and, straight from the fridge, downright soothing. My mom made it for me when I was sick and couldn’t/wouldn’t eat anything else. It made me feel better. It makes me smile. It makes me feel light and free and happy–like the sun is shining even if it isn’t. So, yup, this is how I envision my essential self. 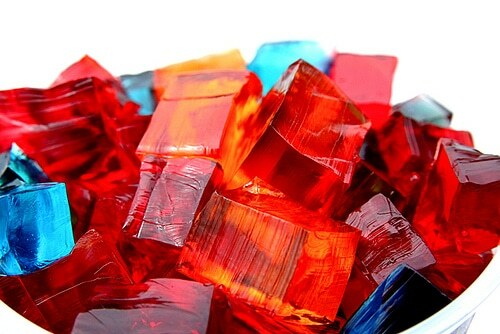 Red jello. So, if your essential self was a food, what would it be? The ‘Why?’ part is the most fun. I’d love to hear your thoughts in the comments below.